I first heard about District 97 at Cruise to the Edge. Admittedly, I caught them late in their set, and I missed most of their performance ( sidenote: Cruise To The Edge was nuts- it was like continually being forced to choose which child you love more). After the cruise, I decided to dive into their discography, and I’ve been really impressed with them since. Their music is highly technical, and sometimes really impressively so, but the more technical passages are always contextualized within an actual SONG. The choruses are singable and catchy, the musical passages are memorable, and while it is busy, it’s palatable for a more general audience. It’s a perfect answer to the response to many critics of progressive rock, who claim that progressive artists are too focused on technical wankery and are not focused enough on songwriting. After getting to know their music a little better, I hoped that I’d get to catch them live, although prog bands rarely stop in Kentucky. When I saw that they were playing in Louisville, I told myself that I had to go. 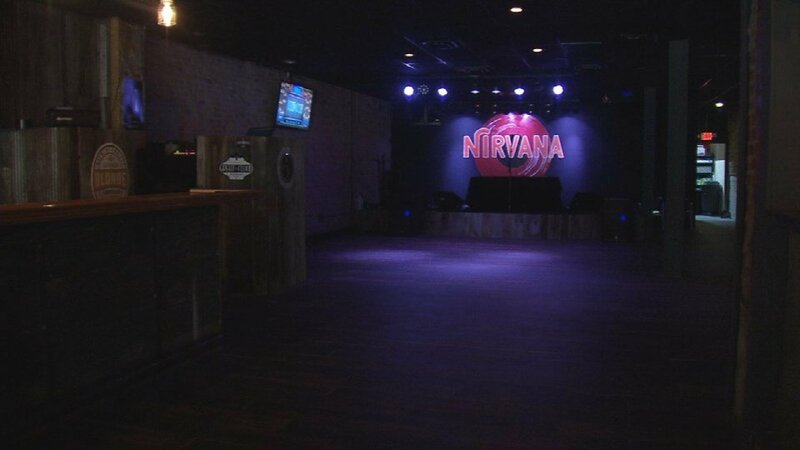 I also had not yet been to Club Nirvana, which is a new-ish venue off of Bardstown Road. The opening act was a local band called Grackle. They reminded me a lot of the neo-prog acts of the late 80s like It Bites! and XTC. The songs were really well crafted and poetic, and were very well sung by frontman and keyboardist Steve Kantsis. Grackle usually functions as a full band, but due to some unforseen circumstances, they performed an acoustic set. Steve enlisted some friends to play string parts to their songs, and their drummer played on a stripped down kit. The arrangement worked out really well. Knowing their audience, they closed with “The Court of the Crimson King”, which sounded great with the ensemble. Check out Grackle’s music here. District 97 took the stage next. They started out with “Forest Fire”, which has not been officially released on an album yet, but hopefully will appear on one soon. It’s one of my favorite songs of theirs/ Jonathan Schang’s ghost-note filled shuffle was really great to watch from my vantage point. They played several songs from past and present, each highlighting a different facet of their style. A personal highlight from their set was one of their new songs, “The Unreality Star”, which was a takedown of our current president. I wasn’t sure why guitarist Jim Taschin donned a clown nose, but it made sense after a few bars and lyrics. The band had previously expressed a bit of trepidation to play that song, because it isn’t exactly subtle, and they were playing in a state that voted for Trump, but the song was met with wild applause. They closed their set with a blistering rendition of “On Paper”, from their 2015 album In Vaults, which is a profound and harrowing song about gun violence in America. Of course, you can’t watch District 97 without acknowledging that Leslie Hunt has done her homework on how to be a stellar frontperson. Her talent as a vocalist is undeniable. But Leslie puts on a show, which is an entirely different skill set. It’s a combination of acting skills, swagger, and natural, raw talent. She is overflowing with charisma and personality and energy. She owns whatever stage she’s on, whether it’s a packed auditorium or a small club in Louisville. It’s tough to play to a crowd in a smaller venue on a cold, rainy night, on the last stop of your tour. But undaunted, Leslie gave us 100%. Having said that, the musicianship of this band was not to be ignored. In a band with such a strong frontperson, one might think that Leslie does all of the heavy lifting, but the band holds their own, and more. This was best exemplified by their blistering rendition of “Starless” by King Crimson, dedicated to their late friend and mentor, prog legend John Wetton. Guitarist Jim Taschin sang lead for the first half, and the band gleefully marched into the songs’ nightmarish climax. I never got to see them with their previous lineup, so I can’t compare the current group to previous iterations, but it’s clear that the current lineup plays really well together, and they seem to really enjoy themselves too. If you get a chance, you’ve got to see this band. And if you do, get a picture with them, throwing up the horns in business casual dress. Actually, I look like their dad (who is trying WAY too hard) in that picture, so now, it’s a picture of District 97 with the brutalest of frontmen, Nergal from Behemoth. Check out District 97’s music HERE. Also, in this day and age, it’s important for artists to find ways to make money. District 97’s Inside the Vault Club is an answer to that. Take a look at this this video to understand a little better what it is, and head over that way by clicking here. and head over that way by clicking here. Tags: club nirvana, concert review, district 97, in vaults, jonathan schang, leslie hunt. Bookmark the permalink.